Our first ORHA show of the season was a blast. Here is a video of our winning run from Sunday. 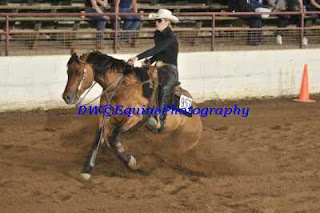 Dunnit and I won the Rookie Professional class on Saturday and Sunday, as well as the Limited open class on Sunday. This puts us in the lead for Ontario for our class. We're hoping we can hang onto it! Thanks to everyone for the good luck wishes, brainwaves and vibes! DW Equine Photography did some beautiful work both on the video and the photography (unfortunately the video doesn't have sound online- my mistake not DW's, and once the photos are reayd we will remove these samples and replace them). 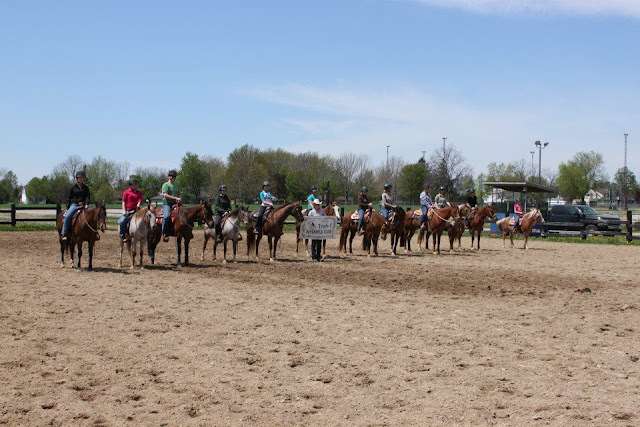 We had beautiful weather and a GREAT group of participants in our annual Spring Clinic with the Tripe C Saddle Club. 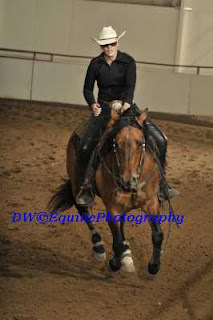 We worked on Showmanship, Rail Classes AND Pattern Classes from 9am-3:30pm. It was a long day for some of the horses who had never been off the farm, and a long day for some of the horses that were getting off the farm for the first time this year. Thanks Triple C for giving your time and energy to put this together, and congratulations to all the horses and riders on a sucessful day! The last of the expecting mares delighted us with two more fillies! Lena gave birth to the filly pictured above all by herself in the middle of the night without much warning at all. She's a pretty sorrel with a very laid back attitude. Nic waited for us to arrive in the morning to give birth to this bay filly. She's got one white sock like her mom and a spunky attitude! It was a momentous occasion celebrated with lavish gifts, balloons and a trip to Petsmart. Yes, it was Sofie (the dog's) birthday! Sofie's day started out with a trip to Petsmart to find her favourite thing in the world other than everyone she knows and tuna; a rubber chicken. She selected a pink flamingo from the wall of toys with a bathing suit. She brought it with her on our daily route from barn to barn to show everyone! Weekly lesson student and friend, Brooklyn, surprised Sofie with "Happy Birthday Princess" balloons, a bag of gourmet dog treats and a doggy frozen yogurt. Happy birthday Sof and thanks for bringing so much joy into our lives! Kaitlyn THRILLED with Wyatt going through the cones when they were so close together. The best part? They got even closer than that! Congrats Kaitlyn and Wyatt! Thanks for visiting! Check frequently for pictures, updates, videos and more! Lindsay graduated from Meredith Manor International Equestrian Centre in 2005 with Honours. 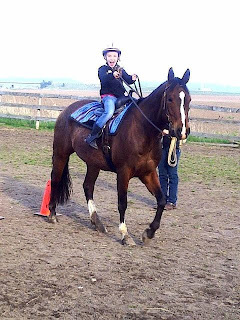 Immediatel following graduation she apprenticed and went on to work for two of the top reining trainers and breeders in Ontario. She also worked a a head coach, organized summer camp programs, a leadership camp, a volunteer program and regular workshops including everything from Horse Health and Anatomy, to Equine Massage Therapy, to Handling and Trailer Loading. In the spring of 2008, Lindsay began teaching and training full time, but this time for Hayes Horsemanship. Lindsay currently holds certificates of: First Aid and CPR-C, Equine Massage Therapy, Equine Theriogenology (breeding), and Riding Master IV. 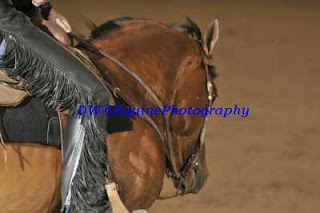 Her most recent successes in the show ring include a Reserve Champion in the Rookie Professional class for the Ontario Reining Horse Association, a Top Five finish at the eastern Canadian Affiliate Finals in Blainnville, Quebec, and a Top Ten finish at the North American Affiliate Championship in Oklahoma City, Oklahoma. Lindsay also competes successfully in the open division with the American Quarter Horse Association in the Western Pleasure and Western Riding classes.